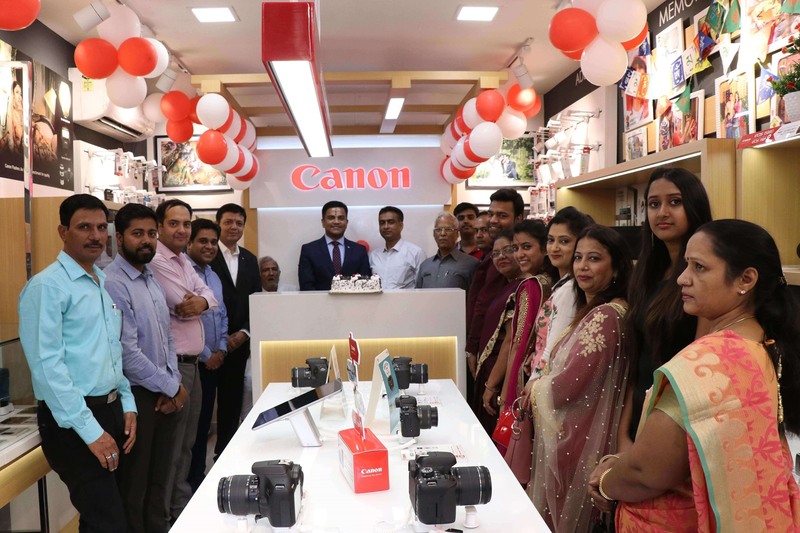 Rohtak, October 17th 2018: Canon India, one of the leading organizations in imaging space expanded its retail outreach with the inauguration of its first Canon Image Square (CIS) store in Rohtak. Located at Shop No. 332, Opp. Power House, Near McDonalds, Delhi road, Rohtak, Haryana, the launch further strengthens the brand’s regional penetration in the country. Canon takes pride in being a complete 360 degree imaging solutions provider, with its input to output product expertise. Canon Image Square (CIS) are experiential stores where customers can have complete hands on experience of the products before they buy a product. These stores provide comprehensive range of photography and home printing solutions along with a range of Inkjet/Laser printers and cartridges. CIS stores provide complete range of cameras, right from professional to entry level DSLR’s and attractive Mirrorless cameras and compact cameras in PowerShot and IXUS range. It also provides photography accessories such as tripods, camera bags, memory card, chargers and more. Among other highlights, the store is equipped with HD album facility, photo printing solutions and easy finance facilities such as EMI through various credit cards and paper finance through Bajaj Finance. The staffs at the store are professionally trained and are efficient in assisting customers in selecting products in accordance to their specifications and requirement. CIS stores provide regular training workshops for DSLR camera buyers. Various innovative sales and marketing tools like live demo of the products, touch and feel experience, trainings and workshops has helped Canon’s customers to make informed purchases and strengthen our relationship across India. The organization has opened 250+ CIS stores across 100+ cities, a testament to their growing regional presence in the country. In sync with its corporate tagline- ‘Delighting You Always’, reinforced by World class technology, Canon offers an extended product portfolio, including copier MFDs, Managed Document Services, Fax-Machines, Printers, Document and Cheque Scanners, All-in-ones, Digital Cameras, DSLR’s, Cinematic Imaging Products, Camcorders, Cable ID Printers and Card printers catering to the multiple market segments of consumer, SME, B2B, Commercial, Government & PSUs. In 2017, the imaging leader recorded a double-digit growth.